Grosvenor Online Casino Review - £20 FREE Bonus at Grosvenor! Visit Grosvenor Get Your Bonus! Grosvenor Casinos is very well known around the UK and certified to be safe and secure. Fully licensed and regulated. Licensed in Alderney... ... regulated by the Alderney Gambling Control Commission and certified safe. Fast, Reliable Withdrawals in just 1 day - many are done instantly. ? 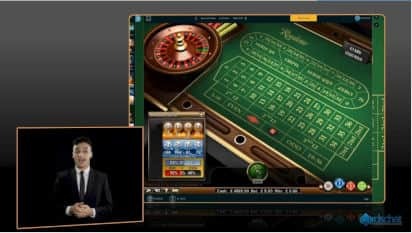 All legitimate, real-money online casinos like Grosvenor Casinos have strict anti-fraud screens, and that may create a short withdrawal delay. Make your first deposit of £20 or more Grosvenor Casinos will give you £20. You earn your bonus simply by making your first deposit. Online casino gambling in the UK has become so big that if you are tying to find a new place to play, the staggering choice can leave you in a quandary. How can you possibly know not only which places are reputable, but which would best suit your bankroll, tastes, and style of play and which are best left alone? That is where the online casino reviews of our experts at Cardschat.com can help. One very good rule of thumb is to focus on a place that has a solid reputation and has been around long enough to have an established track record in the business. Grosvenor Casino, which started out as a land-based casino, before expanding to online gambling, has been in the casino gambling business for over 40 years. This trusted brand is clearly a casino that knows what it is doing and knows how to attract and keep customers. Grosvenor online casino promotes itself as “UK's Biggest Casino Brand.” As the successful operator of some 56 land-based casinos across the UK plus its online casino, the Grosvenor name is probably already familiar to you. If not, you should still check out what this casino has to offer, especially if you are a small bettor. You may be pleasantly surprised because in some ways it is quite different from the typical online casino. Grosvenor Casinos.com is owned and operated by the Rank Group and licensed and regulated by the Alderney Gambling Control Commission and the UK Gambling Commission. Rather than rely on a single provider for its games, Grosvenor uses software from multiple providers. These include, among others, Playtech, IGT, Aristocrat, Novomatic, OpenBet, and Virtual Fusion. All of the providers are reputable firms that deliver quality products. If you choose the downloaded version, you will have access within minutes to a fine selection of games from Playtech. Or, if you prefer, you can select the no download instant play flash version which lets you play on any browser from games from assorted other providers. A third option is to play selected games anytime, anywhere you wish, on your Apple iOS, Android, or Blackberry mobile device. The Grosvenor Casinos brand has always been focused on UK players, and thus far the company has not shown an interest in expanding internationally. Thus, Grosvenor is available only in a few select countries, and the U.S., unfortunately, is not one of them. However, if this online casino is open to you, we highly recommend it. Grosvenor Casinos is home to several hundred games, including more than 200 slots. That translates into more than enough choice and variety to satisfy the tastes of most players. 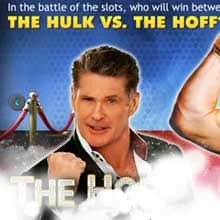 While long time Playtech fans might be disappointed that not all of the Playtech games are offered, for example, the very popular Marvel slots, the selection is still very good. You also get the benefit of being able to venture out and try new games from other providers that you might not have played before. Of course, progressive jackpot slots are included in the mix. The top jackpots pay as much as $1.5 million, and some lucky player, maybe you, will be the next to hit one! If you prefer table games, you are also in luck. For example, both blackjack and roulette come in many different varieties, so you are not limited to only being able to play the game one way. Some of the different ways you can play blackjack include Classic, Multi-hand, Vegas, and European Blackjack. If roulette is your game, you can play Classic European Roulette or you can be adventurous and try another form of the game, probably for the first time. At Grosvenor, you can play Pinball Roulette (using a pinball table instead of a wheel) or Money Wheel Roulette (where you can win up to 40x your stake). Or play Double Bonus Spin Roulette. This unusual game includes a wheel with a yellow section. You get two free bonus spins if the ball lands on yellow. You can also bet on yellow (not a good bet statistically, but a small bet is okay occasionally for fun), and if you win, get a huge payout. Another exciting option that many Grosvenor online casino players enjoy is to play blackjack, roulette, baccarat, or casino hold ‘em with a live dealer. Getting to watch the wheel in motion or cards being dealt out and carrying on a conversation with the dealer and other players, you will feel like you really are in one of the Grosvenor land-based casinos and not online at all! If you are undecided about what to play, Grosvenor Casino gives you the option to play for free before putting up real money. You won't be able to do this with the live dealer games, however. Grosvenor is also a casino that is very accommodating when it comes to betting limits. Large and small stakes players alike should have no problem finding the right stakes game to suit their bankroll and betting style. For example, at the live roulette tables, bets are accepted from as little as 50p to as much as 50,000 GBP. At the live blackjack tables, the range is from 3 to 5,000 GBP. Grosvenor's long history and established presence, along with the Alderney licencing (known for being very strict) should leave no doubt that this a reputable casino and that you are being treated fairly as a player. What is missing from the website, however, and should be provided, is actual documentation. This reviewer would like to see published reports of recently determined average payouts for the different games. Banking at Grosvenor casino online is simple, fast, and safe, just as you would expect it to be. While you don't have as many methods available to you as in some of the large international casinos, if you live in the UK, you should not have a problem. You should check with the casino if you can use the same method for withdrawal. One really nice feature about the Grosvenor online casino banking system is its use of a single wallet. So if you also like to play in any of the Grosvenor land-based casinos, you keep the same account and can readily access it either online or at the casino, as you prefer. Whatever banking method you select, the casino's use of advanced encryption technology keeps all of your personal information and financial transactions safe and secure. The Welcome Bonus may not seem like much, but if you become a Grosvenor online regular, that is just the start of many more great rewards you can earn. Every time you play, whether online or in one of the many Grosvenor casinos, you receive “play points” which you can accumulate and redeem either for cash, online gifts, or casino comps. Furthermore, if you play both online and at the casino, your points are interchangeable. For example, the points earned online can be later redeemed for a free meal in one of the casino's restaurants. Different games earn points at different rates. Every 100 play points earned are worth 1 GBP in comp dollars. Frequent players who are able to accumulate lots of points may qualify for expensive gifts like iPads and luxury hotel getaways included in the casino's catalogue. All players upon first signing up receive a play point card with their player ID No., which is used for point tracking. However, a special Gold Card is issued by invitation only to a select few qualifying players. Gold Card players receive many extra privileges such as special promotional offers not available to other players and invitations to exclusive events. In addition, the casino has a special by invitation only VIP Club for qualifying online players. Grosvenor VIPs receive their own personal account manager, priority sports betting service, a VIP helpline, increased table limits, invitations to special events, and other exclusive offers. They also have the opportunity to refer a friend and receive a percentage of their friend's losses, and the referred friend gets a special bonus as well. Grosvenor Casino has only been in the mobile casino industry since 2011 but in that time it has carved a niche for itself as a colorful, diverse and efficient mobile casino. The mobile site can be accessed by both iOS and Android devices, including iPads and tablets. Blackberry phones can get in on the action but only for 3 games, which is quite a limited choice. The graphics are enticing and eye-catching, while also easy to operate. There are some fascinating welcome offers at Grosvenor mobile, the most interesting of which entails you getting back 50% of what you have lost in your first month as a member, of up to £500. While Grosvenor does not offer as many payment options as other casinos, it accepts Visa, Ukash, PayPal and a few others just as smoothly through a mobile device as through the computer version of its site. Grosvenor is a well-developed and exciting UK casino to play at, but its multiple restrictions can be a nuisance for many players. First of all, it only accepts players from a handful of nations, and it does not seem interested in expanding any time soon. Secondly, the casino and customer service are only in English. The welcome bonus is small, while the payment methods accepted are somewhat limited. The casino has a wide selection of games to choose from and it allows its players to initially play for free. 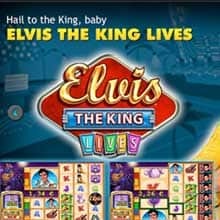 If you are a UK player, though, you will be well-satisfied with Grosvenor which is a renowned and reliable land casino brand within the UK itself, and whose online games offer a certified 97% payout. Join Grosvenor Casinos today and double your deposit up to £20!